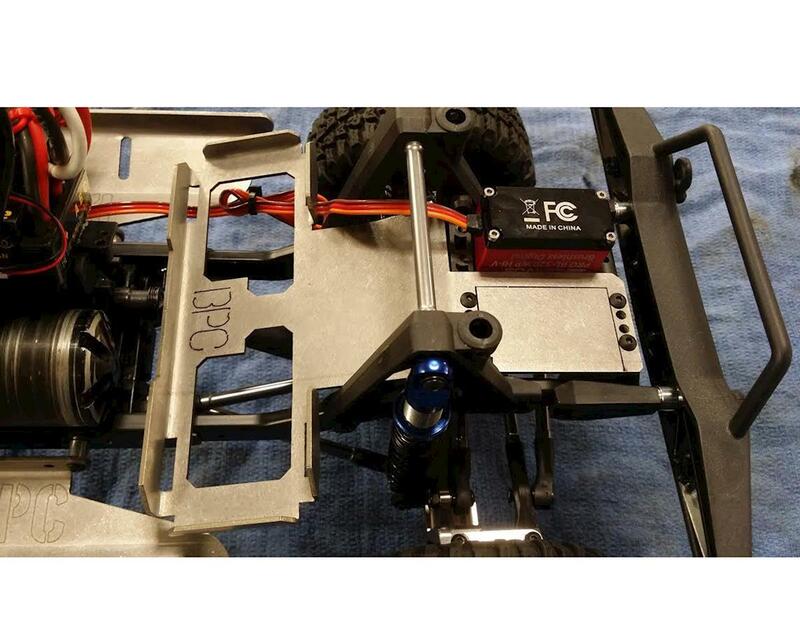 The BPC Ascender Battery & Electronics Relocation Tray relocates the battery, moving it off the axle into an "across the rail" configuration to keep your CG low, while allowing the use of a larger battery. The battery tray has a slot for velcro straps to keep your batteries secure, while the front portion of the tray incorporates a winch mount reinforcement bracket to accommodate the use of a servo winch. Additionally, this tray gives you a place to mount your electronics up front to further improve your CG, and is short enough to allow you to run the short wheelbase options. Made in the U.S.A. NOTE: BPC components are designed for builders. 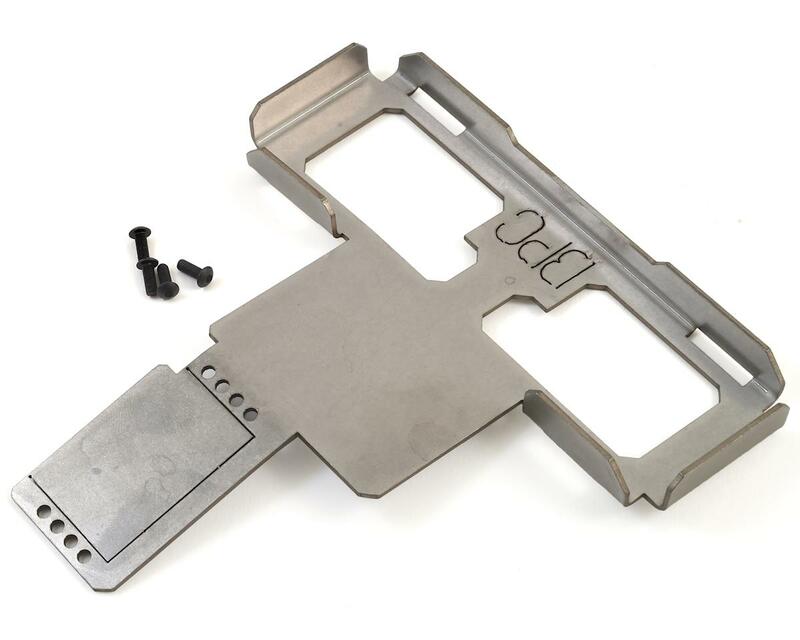 Modification to these parts and/or your existing parts may be required to work with your application. I apologize to the store workers Amain Hobbis for my comment. 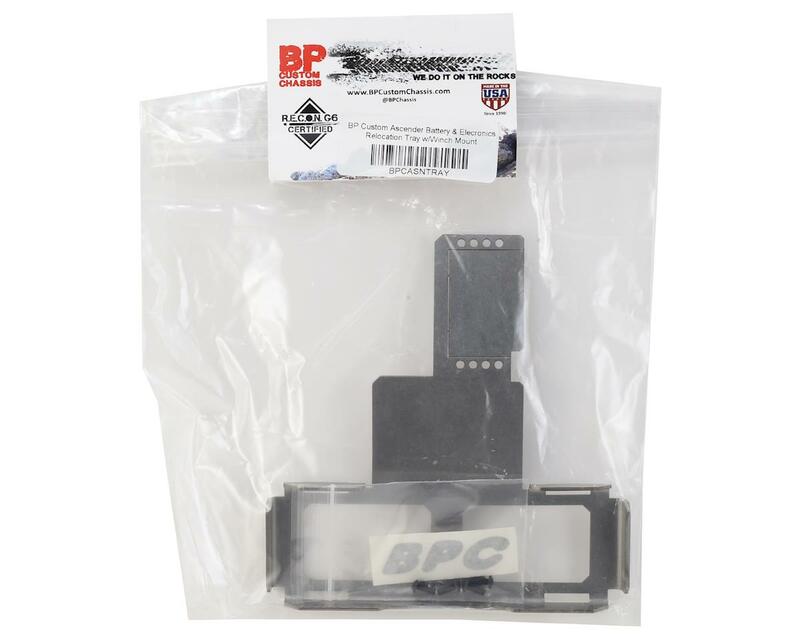 BP Custom Ascender Battery & Electronics Relocation Tray w / Winch Mount sent a separate package. All received and set, super !!! I recommend! Amain Hobbis great! The best 20 bucks I spent on my k10. It was Also the first real mod I made to it over a year ago. Very happy using all my batteries now instead of just the one shorty.